Bottom Line: Agaricus extract may benefit patients with certain cancers. But more studies are needed to confirm these observations. Agaricus blazei is an edible mushroom grown in Brazil and Japan. It is used to treat arteriosclerosis, hepatitis, hyperlipidemia, diabetes, dermatitis, and cancer. Laboratory studies and experiments done in mice have shown that Agaricus can stimulate the immune system and has anticancer effects. Compounds present in Agaricus prevent formation of blood vessels needed for tumor development. Agaricus may cause liver damage and death. There are no clinical data to support this use. One study showed that Agaricus extract taken orally, improved the quality of life in patients with gynecological cancers. Agaricus is used in traditional medicine to treat hepatitis and a small clinical study showed that Agaricus helps improve liver function in patients with hepatitis B. There are limited in vitro and animal data suggesting that Agaricus mushroom has antidiabetic effects. One small clinical study showed that Agaricus reduced blood glucose levels in healthy subjects. One small clinical study showed that Agaricus reduced cholesterol level in healthy subjects. Hundred patients with cervical, ovarian, and endometrial cancers were treated with either carboplatin plus VP16 (etoposide), or carboplatin plus taxol every 3 weeks for at least three cycles. They were divided into two groups that received oral Agaricus extract or placebo along with the treatments. Based on blood tests, researchers found that the Agaricus group had a significantly higher natural killer cell activity compared to those on placebo. In addition there was a reduction in chemotherapy associated side effects such as emotional instability, alopecia, general weakness, and decrease in appetite. However, there was no difference in lymphokine-activated killer and monocyte activities between the two groups. Because anti-diabetic activities of Agaricus have been previously reported, 72 participants diagnosed with type 2 diabetes for more than 1 year and currently taking gliclazide and metformin for more than 6 months received with Agaricus extract or placebo. After 12 weeks, improvements in insulin resistance were detected in the Agaricus-treated group. You are allergic to agaricus or other mushrooms. You are taking drugs that are substrates of Cytochrome P450 3A4 (agaricus may increase the risk of side effects of these drugs). May cause liver damage in cancer patients. Cheilitis (swelling of the lip) has also been reported. Agaricus blazei is an edible mushroom native to Brazil and is cultivated in Japan for medicinal uses. It has been used to treat arteriosclerosis, hepatitis, hyperlipidemia, diabetes, dermatitis, and cancer. The polysaccharides and anti-angiogenic compounds present in Agaricus are thought to be responsible for its antitumor properties. Agaricus was also shown to have antidiabetic effects in vitro and in animal studies (8) (9). Results from a study done in human subjects with type 2 diabetes suggest benefits of Agaricus extract in improving insulin resistance (10) (11), and a pilot study indicates that Agaricus extract may reduce weight, body fat, and serum glucose and cholesterol levels in healthy individuals (12). The antitumor and immunomodulatory effects of Agaricus are due to immunopotentiation or direct inhibition of angiogenesis (3) (4) (6) (21) (22). An Agaricus extract enhanced doxorubicin-induced apoptosis against drug-resistant human hepatocellular carcinoma (24). Oral administration of the extract improved the natural killer cell activity and quality of life in gynecological cancer patients undergoing chemotherapy (7), but no such effects were seen in a study of elderly females (25). Large scale studies are needed. While a small pilot study reported that Agaricus extract may improve liver function in patients with hepatitis B (13), liver damage and deaths (14) along with cheilitis (15) have been reported following consumption of Agaricus. Due to its immunopotentiating effects, Agaricus can potentially interfere with immunomodulating drugs although such interactions have not been reported. Agaricus is an edible fungus. It is available as freeze-dried mushroom or as concentrated liquid extracts, teas, or capsules. The whole mushroom is often added to soups, sauces, or hot teas. A recent study suggests that Agaricus extract has estrogen-like activity and may help prevent atherosclerosis via dual roles in cell signaling, macrophage development suppression and endothelial cell recovery from vascular damage (16). A major constituent of Agaricus, ergosterol, was found to inhibit tumor growth in mice via direct inhibition of tumor-induced angiogenesis (6). Other studies demonstrated that polysaccharides present in Agaricus extract caused activation of macrophages (5) or natural killer cells (17) and induced cytotoxic T-lymphocyte activity in tumor-bearing mice. Specifically, activation of natural killer cells was mediated through IL-12-induced IFN-gamma expression (18). Both aqueous and organic extracts of Agaricus offered protection to cells exposed to methyl methanesulphonate, a mutagenic agent. The stimulus produced by linoleic acid on beta-DNA polymerase, an enzyme involved in repair mechanism following exposure of DNA to alkylating agents, is thought responsible for such an effect (19). Furthermore, Agaricus extract stimulates caspase 3 activation and reduces telomerase activity (19) possibly through regulation of Akt signaling (20) thereby inducing apoptosis in cancer cell lines. Blazeispirol A, produced by Agaricus fermentation, causes both caspase-dependent and -independent cell death in human Hep 3B cells (21). Agaritine, a hydrazine-containing constituent exhibits anti-tumor activity toward U937 leukemic cells mediated through apoptosis (22). An in vitro study suggests that Agaricus extract has estrogen-like activity (16) and therefore should be used with caution. Patients with hormone-sensitive cancer should discuss its use with their physician. 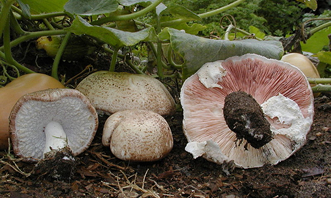 Consumption of Agaricus has been associated with hepatic dysfunction in cancer patients (14). Cheilitis has also been reported (15). Cytochrome P450 substrates: Agaricus inhibits CYP3A4 and can affect the intracellular concentration of drugs metabolized by this enzyme (23). May lower blood glucose level (8). May cause an elevation of liver enzymes (14). Hsu CH, Liao YL, Lin SC, et al. The mushroom Agaricus blazei Murill in combination with metformin and gliclazide improves insulin resistance in type 2 diabetes: A randomized, double-blinded, and placebo-controlled clinical trial. J Alt Comp Med. 2007;13(1):97-102. Because in vivo studies along with a small, pilot trial have reported the anti-diabetic activities of Agaricus, 72 participants with type 2 diabetes for >1 year and taking gliclazide and metformin for more than 6 months received with Agaricus blazei Murill extract or placebo. After 12 weeks, those participants receiving Agaricus blazei Murill extract (1500 mg daily) had reduced insulin resistance (as assessed by the HOMA-IR index) compared with the placebo-control group, which was accompanied by an increase in adiponectin levels. Further studies will not only determine whether adiponectin modulation is the mechanism by which Agaricus extract affects insulin resistance, but also the long-term clinical relevance of Agaricus for type 2 diabetes. Ahn WS, et al. 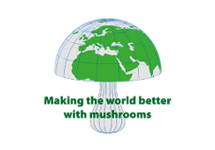 Natural killer cell activity and quality of life were improved by consumption of a mushroom extract, Agaricus blazei Murill Kyowa, in gynecological cancer patients undergoing chemotherapy. Int J Gynecol Cancer. 2004; 14(4):589-594. In this study 100 patients with cervical, ovarian, and endometrial cancers were treated with either carboplatin plus VP16 (etoposide), or carboplatin plus taxol every three weeks for at least three cycles. They were randomized to receive oral Agaricus extract (three packs per day, one pack each time) or placebo along with the treatments. Blood samples were drawn one day before first chemotherapy and one day before second chemotherapy. Researchers found that the Agaricus group had a significantly higher natural killer cell activity compared with those on placebo. In addition there was improvement in chemotherapy associated side effects such as emotional instability, alopecia, general weakness, and decrease in appetite. However, there was no difference in lymphokine-activated killer and monocyte activities between the two groups. Further studies are required to confirm these observations. Fujimiya Y, Suzuki Y, Oshiman K, et al. Selective tumoricidal effect of soluble proteoglucan extracted from the basidiomycete, Agaricus blazei Murill, mediated via natural killer cell activation and apoptosis. Cancer Immunol Immunother. May 1998;46(3):147-159. Itoh H, Ito H, Amano H, et al. Inhibitory action of a (1—>6)-beta-D-glucan-protein complex (F III-2-b) isolated from Agaricus blazei Murill (“himematsutake”) on Meth A fibrosarcoma-bearing mice and its antitumor mechanism. Jpn J Pharmacol. Oct 1994;66(2):265-271. Mizuno M, Morimoto M, Minato K, et al. Polysaccharides from Agaricus blazei stimulate lymphocyte T-cell subsets in mice. Biosci Biotechnol Biochem. Mar 1998;62(3):434-437. Takaku T, Kimura Y, Okuda H. Isolation of an antitumor compound from Agaricus blazei Murill and its mechanism of action. J Nutr. May 2001;131(5):1409-1413. Ahn WS, Kim DJ, Chae GT, et al. Natural killer cell activity and quality of life were improved by consumption of a mushroom extract, Agaricus blazei Murill Kyowa, in gynecological cancer patients undergoing chemotherapy. Int J Gynecol Cancer. Jul-Aug 2004;14(4):589-594. Hsu CH, Liao YL, Lin SC, et al. The mushroom Agaricus Blazei Murill in combination with metformin and gliclazide improves insulin resistance in type 2 diabetes: a randomized, double-blinded, and placebo-controlled clinical trial. J Altern Complement Med. Jan-Feb 2007;13(1):97-102. Mukai H, Watanabe T, Ando M, et al. An alternative medicine, Agaricus blazei, may have induced severe hepatic dysfunction in cancer patients. Jpn J Clin Oncol. Dec 2006;36(12):808-810. Suehiro M, Katoh N, Kishimoto S. Cheilitis due to Agaricus blazei Murill mushroom extract. Contact Dermatitis. May 2007;56(5):293-294. Takimoto H, Wakita D, Kawaguchi K, et al. Potentiation of cytotoxic activity in naive and tumor-bearing mice by oral administration of hot-water extracts from Agaricus brazei fruiting bodies. Biol Pharm Bull. Mar 2004;27(3):404-406. Yuminamochi E, Koike T, Takeda K, et al. Interleukin-12- and interferon-gamma-mediated natural killer cell activation by Agaricus blazei Murill. Immunology. Jun 2007;121(2):197-206. Gao L, Sun Y, Chen C, et al. Primary mechanism of apoptosis induction in a leukemia cell line by fraction FA-2-b-ss prepared from the mushroom Agaricus blazei Murill. Braz J Med Biol Res. Nov 2007;40(11):1545-1555. Jin CY, Moon DO, Choi YH, et al. Bcl-2 and caspase-3 are major regulators in Agaricus blazei-induced human leukemic U937 cell apoptosis through dephoshorylation of Akt. Biol Pharm Bull. Aug 2007;30(8):1432-1437. Su ZY, Tung YC, Hwang LS, et al. Blazeispirol A from Agaricus blazei fermentation product induces cell death in human hepatoma Hep 3B cells through caspase-dependent and caspase-independent pathways. J Agric Food Chem. May 11 2011;59(9):5109-5116. Akiyama H, Endo M, Matsui T, et al. Agaritine from Agaricus blazei Murrill induces apoptosis in the leukemic cell line U937. Biochim Biophysica Acta. May 2011;1810(5):519-525. Lee JS, Hong EK. Agaricus blazei Murill enhances doxorubicin-induced apoptosis in human hepatocellular carcinoma cells by NFκB-mediated increase of intracellular doxorubicin accumulation. Int J Oncol. 2011 Feb;38(2):401-8. Lima CU, Souza VC, Morita MC, Chiarello MD, Karnikowski MG. Agaricus blazei Murrill and inflammatory mediators in elderly women: a randomized clinical trial. Scand J Immunol. 2012 Mar;75(3):336-41.